If you would like to help me out, you can do so by linking back to my blog. Although it isn't required in order to be listed, I would greatly appreciate it. Thanks for all the hard work and time that goes into maintaining this blog, and especially for the fantastic music you share. Take care. bonzão o blog, hein fera! Quem é o compositor da faixa 6 ("Só para jovens")? E qual o nome original de "Só Para jovens"? 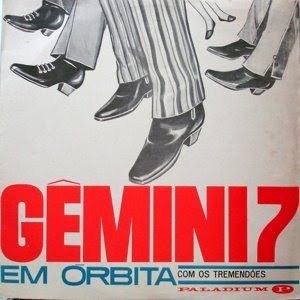 Qual o disco dos Ventures traz essa música? Qual o nome original dafaqixa 6 (Só para jovens)? Em que disco dos Ventures foi gravada?